Financial Transactions are More Than Financial Records! Blog » Financial Transactions are More Than Financial Records! The majority of horse business people think their financial transactions are financial records they only need for filing their taxes, and occasionally satisfying their banker. While financial transactions are a starting point, and in some cases all you need for your taxes, they are not sufficient when your tax authority or banker requests supporting documentation. And don’t get caught in the ‘receipts are documentation’ trap! Receipts are only a small part of the supporting documentation a tax authority will want to see. Your tax authority will want you to prove that your financial transactions are legitimate and your business is viable if you are reporting a loss. Your banker will want to know if you have managerial control of your business and its financials and deserve a line of credit or loan that can be repaid when it is due. If you stop and think about what you should require to manage your business, you will quickly realize it is much more than what they require and much more than accounting software alone can provide you. Unfortunately, the majority of horse businesses are managed by only measuring their ‘bottom line’. Don’t get me wrong, your ‘bottom line’ is important and had better be positive more often than not, or you won’t be in business long. Management by ‘bottom line’ is generally linked with ‘checkbook management’, which is the result of using accounting software as your only management system. ‘Checkbook management’ doesn’t afford you the opportunity to truly manage your business because ‘checkbook management’ doesn’t connect your financials so you are subjected to the ‘checkbook management’ trap. Running your business out of your checkbook is a path to going out of business – unless of course, you have an infinite source of money. You might have checks, but just having checks doesn’t tell you if you have the cash to meet your next payroll, and or make your next horse trailer payment, and or purchase the feed you will need in two weeks. Have you ever thought about the ‘waterfall’ consequence a financial transaction has on your business, and how an understanding affords you the opportunity to make better business decisions? I am not proposing that a horse business owner become a CPA or financial analysis. I am also not advocating spending more time on your business’s financials than you do on your horse related activities that are the basis for your business income. But, what I am proposing is that a horse business owner should use a management system that minimizes the time they spend getting the information they need to manage their business, thus enabling them to make better business decisions. Managing your horse business with horse recordkeeping and accounting software is not business management. It is just recording information that adds no management value. The true cost of using a recordkeeping system is not in its purchase price, it is its cost of ownership. Believe it or not, your horse business management system has a lot do with your business’s degree of success or failure. Selecting a good horse business management system can assist you in making good business decisions. It does this by providing you with up-to-date information that is based on the connection and the interaction between your many financial transactions, business activities, income and expense. It tracks, manages and reports the ‘waterfall’ consequences of your financial transactions. ‘If you can’t measure it, you can’t manage it’, isn’t just a nice cliché, it is a fact! 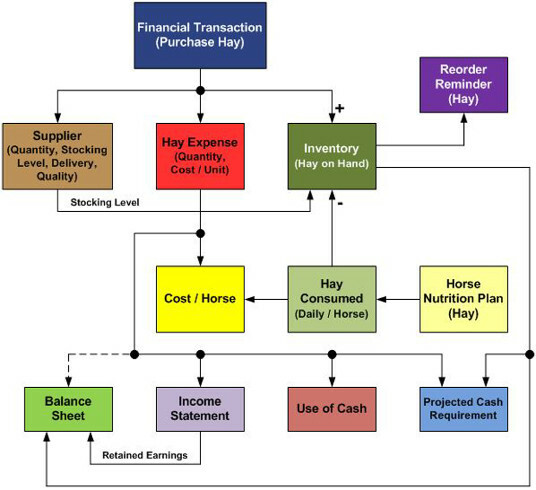 The right horse business management system will enable you to set up your business so that it can be measured, thus allowing you to manage your finances, horse care, business operations and customers and their interactions without purchasing additional software or having to enter your information more than once. You will have the information you need in intelligent reports that will assist you in making good business decisions. Getting organized is easy. Managing your business and understanding the ‘waterfall’ consequence of a financial transaction requires a management system. There are two ways to have a positive ‘bottom line’ in a business, you either have more revenue than expenses or you reduce your expenses to be less than your revenue. In other words, ‘you either earn it, or you save it’. This is particularly true for many horse businesses where the revenue is unpredictable, but its expenses are well known and predictable. 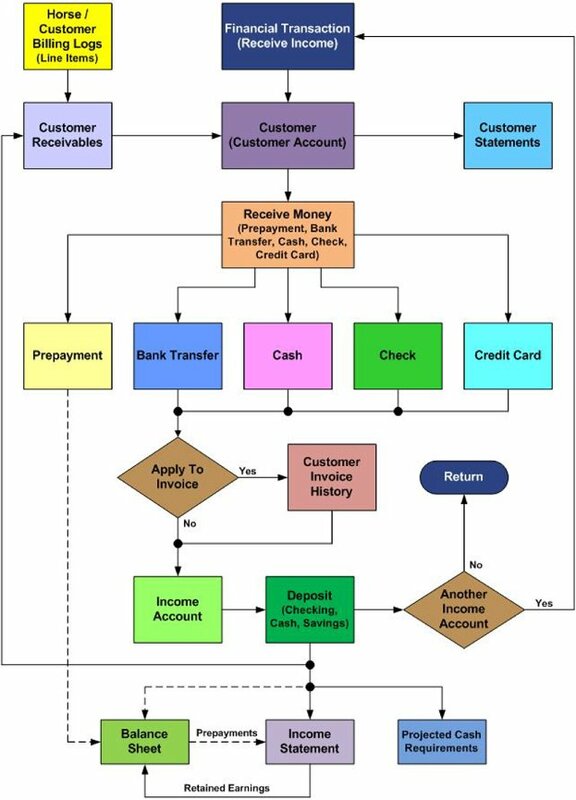 No matter what revenue is coming into your business an understanding of the ‘waterfall’ consequence your expense related financial transactions have on your business is a requisite requirement and the root to good business decisions. Before an expense financial transaction is made you should ask yourself three simple questions; (1) is the expense a ‘Must Have’, (2) is the expense a ‘Nice To Have’, or (3) is the expense ‘Silly’. You will be surprised how many times you make the right business decision and how quickly the three questions become part of your management philosophy. The following example illustrates the ‘waterfall’ consequence of the simple act of purchasing hay and why a management system is far superior to a recordkeeping system that is disconnected from your accounting system. Entering your Income financial transactions is the enjoyable part of maintaining your business management system. A good management system will provide the opportunity to account for your income by the services and or products or different departments within your business. This provides you to opportunity to track and measure how and where your business makes or loses you money. Before your enter your information you need to ask yourself a few questions; (1) what income account or accounts apply, (3) is the income the result of a customer invoice, and if it is what line items are being paid, (3) what business account do you want to deposit the income into, and (4) do you want to distribute the income between more than one account. 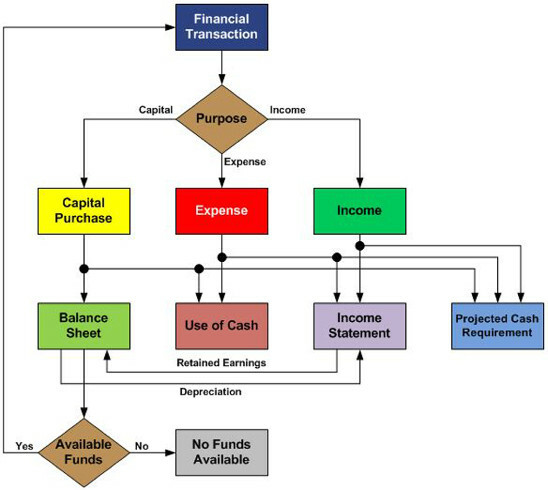 The following example illustrates the ‘waterfall’ consequence of income as it flows through your management system and the additional information it provides that cannot be obtained from a recordkeeping system that is disconnected from your accounting system. The above list is just a few examples. I am sure you can think of many more that are relevant to your horse business. The take away is every business starts with some kind of financial transaction and if you understand the ‘waterfall’ consequence of a financial transaction your will be far ahead of the majority of your peers. Underlying the success of any horse business and the management system you chose is your commitment to keep your system current and use the information it provides to assist you in making good business decisions. Believe me; you need a horse business management system! 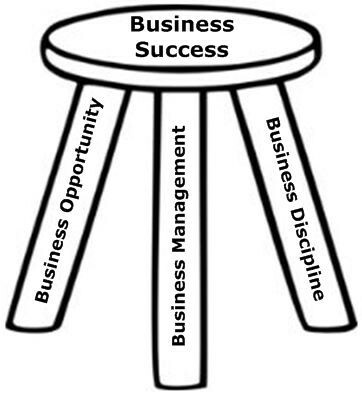 But, purchasing one if you do not have the ‘business discipline’ to keep it current and use it is a bad business decision, and probably not the management system’s fault! To be successful in a horse business does not require a finance education, but it does require business discipline and an understanding of what your financials are telling you. This understanding will enable you to make better business decisions. A good Horse Business Management System will do the calculations for you and analyze and report the results with comments or suggestions. A good Horse Business Management System will save you valuable time you can then use to improve your business. 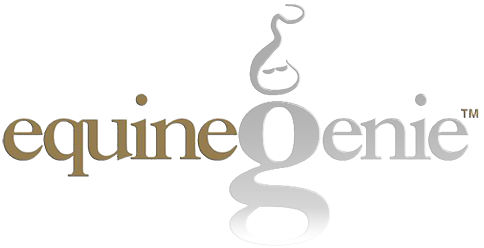 I encourage you to investigate how equineGenie not only helps you manage and care for your horses and manage your business operations and support your customers, but helps you be financially successful. Sign up for a free one year subscription to our newsletter at info@genieatwork.com and receive a ‘Genie At Work’ mouse pad. Just write ‘Sign me up for your Newsletter’ in the subject section and enter your name and address in the content section. Happy Trails, Good Management and Business Discipline Always! Dr. Valentine taught Equine Business Management to graduating seniors in the Equine Science Department at Colorado State University. He has been involved in the horse business for too long. If you have any questions, you can reach Bob at bob@genieatwork.com, or call him at 970.682.2645 or 970.231.1455 (mobile).